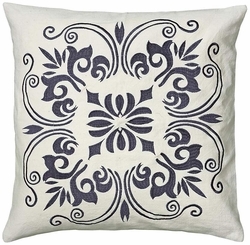 Against a bright white background, this embroidered detail in a steel blue color creates a stunning effect in this decorative throw pillow. 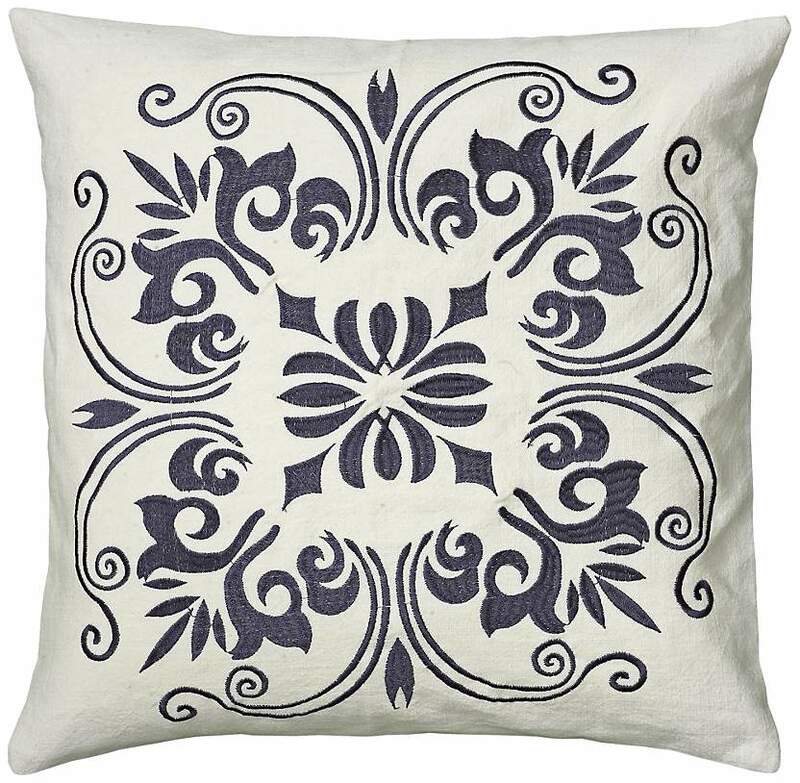 Your sofa will look classic and high-end with this chic and stylish white decorative throw pillow with a timeless embroidered design. • Pillow cover with hidden zipper. • Perfect for any seating area.